Your parents never used to let you eat this buzzy treat before bed, but gosh darn it, you’re a grown-up now. To make this dark and smoky speedball, the Portland-based ice cream shop blends beans from San Diego’s James Coffee with Slow Hand Whiskey from L.A.’s Greenbar Distillery, a barley-mash spirit aged in six types of wood. Various Locations. 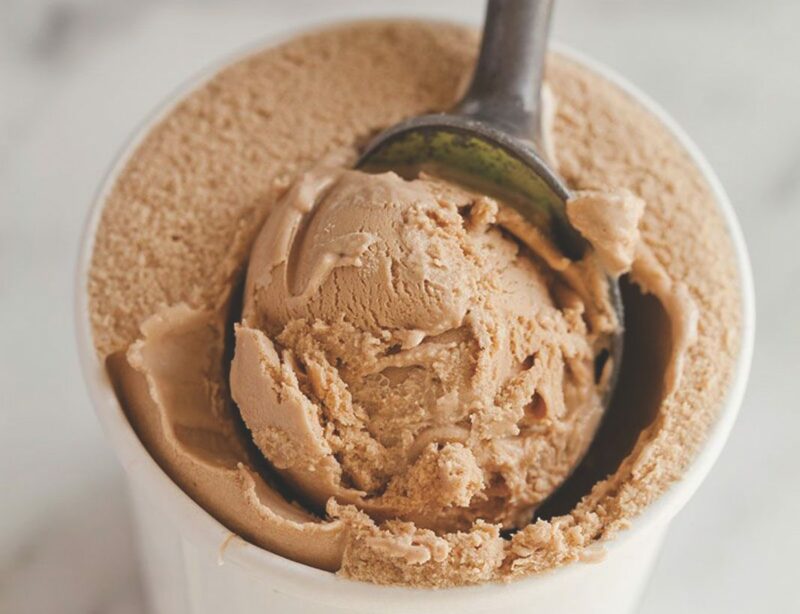 When this San Francisco creamery opens a scoop shop on Abbot Kinney come August, look for its play on Vietnamese drip-style cafe sua da, made with organic Blue Bottle coffee, sweetened condensed milk, and chicory root—or find it at Whole Foods. 1653-B Abbot Kinney Blvd., Venice. If you like your java light and sweet, Ohio-based Jeni’s offers the ice cream equivalent: Intelligentsia beans are steeped in cream, then swirled with sweet-cream ice cream to produce a flavor that’s more cappuccino than espresso. Various locations. As a tongue-in-cheek nod to bulletproof coffee, Coolhaus spins brown butter ice cream with a potent kick of Stumptown espresso, albeit with a tip not to expect the same “health benefits” attributed to the trendy butter-infused drink. 8588 Washington Blvd., Culver City; 59 E. Colorado Blvd., Pasadena.